On the first day of Christmas my true love sent to me: A Partridge in a Pear Tree. On the second day of Christmas we got divorced. Which worked out quite nicely because that freed up my spare time for the third day of Christmas, on which date PlayStation gave to me: a driving game where you have to race multiple tracks at the same time! That’s right, Christmas is coming early this year regardless of your marital status: DriveDriveDrive is launching on PS4 on December 13! Eagle eyed fans of the genre will already have noted that DriveDriveDrive is all set to revolutionize driving games and is being published by the excellent, humanoid-based lifeforms at Choice Provisions! 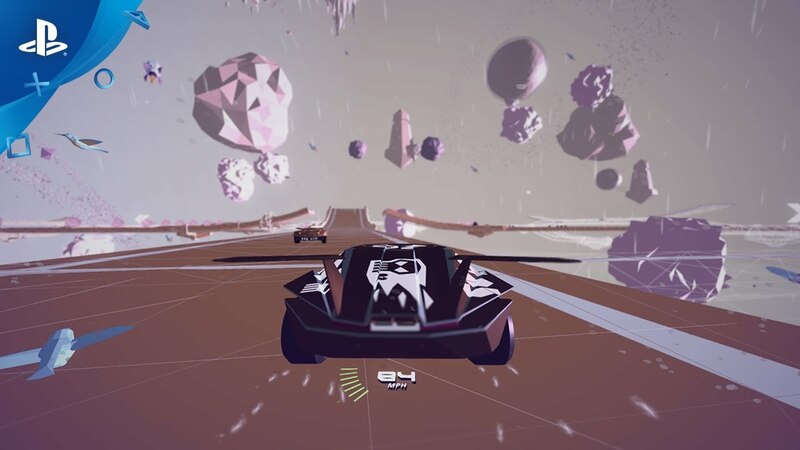 For those without freakish bird of prey eyes, though, here’s a quick summary of the situation: DriveDriveDrive is a driving game about racing multiple tracks at the same time. It’s kind of a mixture of arcade racing, repeated stupidity, track management, repeated stupidity, repeated stupidity. Why is the game so repeatedly stupid? Well, that’s down to the AI that controls all the cars in the game that you yourself are not in control of. In DriveDriveDrive, AI is an initialism for Artificial Idiocy. Everybody is disastrously bad at driving, apart from you, and you can only control one car at a time. So you must manage your cars across up to four tracks in real time to score as highly as possible, hopping between them to save them from the vicious nature of our Intelligent Stupidity engine. Well, I’m glad I cleared that up. Apologies if it seems like I’m getting carried away, but I really love this game and everyone who plays it seems to as well! I have even gone so far as to prepare several blog posts about how I’ve never felt so lonely even though the runaway success of DriveDriveDrive has left me universally adored by the public, massively respected by all my peers, and impossibly rich. But that’s for later — stay on point, Gordon. 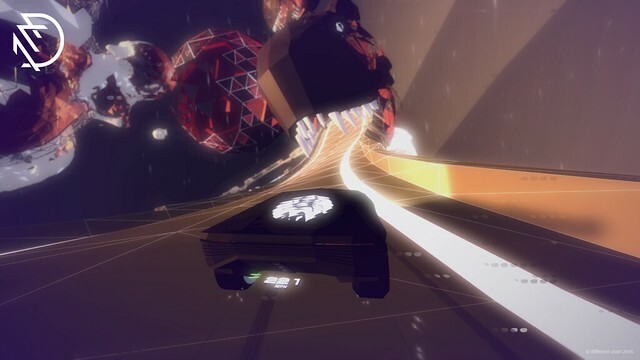 So: DriveDriveDrive is coming to your PS4 on December 13. Be like a flooded cellar: get seriously pumped! I take it the Vita version was cancelled? Hello! Indefinitely postponed is the term you are looking for I believe! So you could hardly say in this case that cancelled is the appropriate descriptor? It’s clearly not going to happen, so why not just say that? Well it might still happen even though it is unlikely, that’s my entire point! If the PS4 game does well & everyone is still keen for it to come to Vita then it could. Smh at you vita cry babies. Its not cancelled. It will probably be available at a later date. Well this is a kind of stupid I can get all the way behind. Well done. The game is indeed ridiculously stupid – I modelled it on myself. The link to the game is bad. Since when does the PS Blog post bad links? Well i am getting this on PlayStation 4 day one pending if i have the money. I am totally broke right now thanks to the last weeks of PSN sales. So the real question has to be ask will there be a platinum trophy for this gem. If you are short of cash why not take on another hit job to fill the hole? Thanks for the chuckle at the platinum part. One last question if you can answer at this time how much will the game cost. Hahahaha, the game itself looks cool and i really dig the art direction and phenomenal tunes. But… what sold me the most on the game is your persona… hahaha, i was chuckling as i read the whole post. Might there be a spiritual prequel to this game in development, called “Drink! Drink! Drink!”, where 1 player has to control 4 frat-bros or sorority gals doing keg stand hits & the finish-line is getting into one of the cars? I like your idea of a drink SonicPrinny42 – that’s just what I need right now! Glad you like the concept. Trust me, you will not be worse than the AI. No chance! This game looks fun and I love multiplayer. Could you explain more about how that works? Is it split-screen, or hot seat, or online only, etc.? I wanted to add local multiplayer via split-screen too & started prototyping it but I ran out of time… could be something to come back to one day!